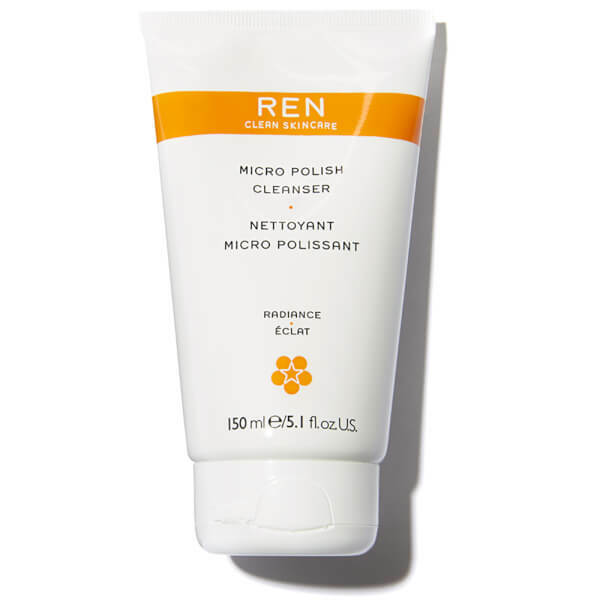 REN Micro Polish Cleanser is a dual-action foaming mousse that deeply cleanses and gently exfoliates the skin. Formulated with Amber Microbeads to slough off dulling dead skin cells as well as removing daily dirt and impurities. The massaging action when applied helps to increase circulation and glow without harming the skin. The skin is left purified, renewed and radiant.